BOB ABERNETHY: All over this country, wherever church and synagogue attendance is falling off, places of worship are redesigning their observances to try to make them more meaningful, especially for the young. In reform and conservative Judaism, a renewal movement has begun called Synagogue 2000. Its leaders want to revitalize Jewish prayer and community. 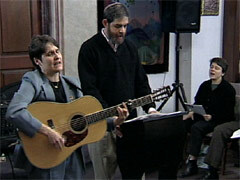 Lucky Severson reports from a Synagogue 2000 workshop. LUCKY SEVERSON: These rabbis, cantors, and Jewish leaders from the Washington, DC area are learning how to make synagogue worship more spiritually rewarding. Mr. RON WOLFSON (Synagogue 2000): All those from Fairfax Jewish Congregation, where are you? Come on. SEVERSON: They’re part of a national effort to transform synagogues into places that will attract more members and entice those who do attend to return. 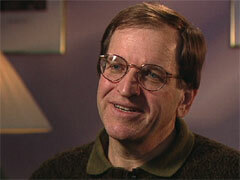 It’s called Synagogue 2000, and its co-founder is Jewish educator Ron Wolfson. Mr. WOLFSON: And one of the things we’ve been working hard on is to create a more welcoming ambiance in the congregation, a place where you’re greeted warmly at the front door, where you’re given the access skills to participate in the service; it’s not just assumed that you know what to do. SEVERSON: More than anything, Synagogue 2000 wants to create a place where people can feel a closer relationship with God and with each other. Mr. WOLFSON (To Audience): A congregation where people come and everybody knows their name, a congregation where you’re deeply connected and deeply rooted. 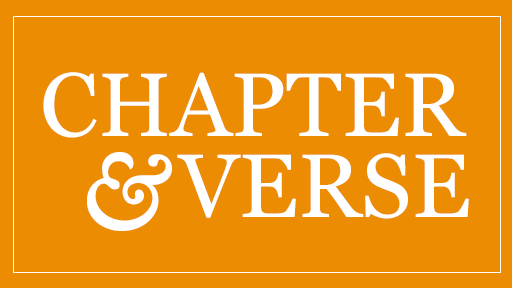 SEVERSON: Wolfson and Synagogue 2000 co-founder Rabbi Larry Hoffman have crafted a step-by-step itinerary for change, a detailed plan that includes everything from making prayers more personal to coaxing rabbis and cantors to create services that encourage more participation. They found some inspiration in places you might not imagine: megachurches. Mr. WOLFSON: These megachurches have designed worship services specifically for seekers; have thought a lot about their market, if you will, and are reaching out to the unchurched. We think that there’s something to learn there. SEVERSON: The heightened Jewish interest in spirituality reflects a spiritual hunger of people of all faiths, but until recently, Jews hadn’t made a special effort to embrace the searchers who were turning elsewhere. They had other pressing issues. Jews have always been united against their enemies from without, threatening their physical survival. But now it’s their spiritual survival that worries particularly the baby boomers, who are searching for meaning in their synagogues and haven’t been finding it. Popular Jewish songwriter Debbie Friedman always felt like a spectator in her worship services: choir sang, people didn’t. It was almost by accident, while setting ancient prayers to contemporary music, that she discovered how to get people involved, particularly young people. Ms. DEBBIE FRIEDMAN (Composer/Performer): These kids who had been singing in services — Peter, Paul and Mary and James Taylor and Joni Mitchell — started to sing this piece and stood there with their arms around each other, and they were weeping. And what I realized at that moment is that there was finally — that that was a language that they could understand. SEVERSON: Today, Debbie Friedman’s rendition of Jewish prayers are sung in synagogues across the country and have made prayers more fulfilling for many, especially for those in search of healing. SEVERSON: But 30 years ago, when she started, her approach of inclusion was almost considered heresy by some. Did they call you a renegade when you first started? Ms. FRIEDMAN: I didn’t know that I was doing anything wrong. Who knew? You know, writing prayers, who would ever in their right mind think that if someone is writing prayers, that they’re doing something bad? SEVERSON: Her melodic prayers have attracted young Jews around the country, but the concern is, according to one estimate, only four out of 10 Jews are members of a synagogue and roughly half marry outside the faith. That’s one reason for this novel approach to reach and keep young Jewish seekers. It’s called Makor, and it’s in Manhattan. Makor has turned out to be an enormous success. It features an arts and cultural center with a cafe and live music. Upstairs you’ll find serious classes in Judaism, but Makor offers more than just spirituality. Would you also like to meet a woman here, a Jewish woman? SEVERSON: That’s one of the reasons? Mr. NADULEK: One of the reasons. And I’m taking kabbalah classes, which are interesting; I never did that before. So it’s a learning process and meeting people at the same time. Rabbi DAVID GEDZELMAN (Makor): People are, in some ways, coming for the entertainment and then checking out courses on Jewish text, kabbalah, meditation, and discovering a deeper connection to Jewish life and a connection that they can only call their own. SEVERSON: In the popular kabbalah classes, students study ancient, mystical interpretations of the Hebrew Bible that were once reserved only for Jewish scholars. They say the classes give them a deeper understanding of life and a closer relationship with God. 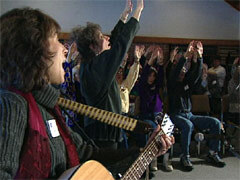 There are also classes in meditation, an ancient Jewish practice that was lost and refound. The practitioners say it helps them feel closer to God. Ms. FRIEDMAN: I think we have to do anything and everything that we can to involve the community in every way that we can. SEVERSON: But as Debbie Friedman discovered years ago, change does not come easily, then or now. Rabbi LARRY HOFFMAN (Synagogue 2000): The greatest obstacle, really, is people, institutions do not change evils. We see ourselves, therefore, as the intervention that can help institutions do what they want to do, even if they can’t do it themselves. SEVERSON: Some critics argue that the quest for more spirituality could come at the expense of serious study. Mr. WOLFSON: We think that there’s something deeply missing in people’s lives if they don’t have a spiritual community to belong to, and we think that’s what synagogues ought to be for people. And we’re going to have to do some work to get them there. SEVERSON: So far there seems to be great interest in Synagogue 2000, but it’s too early on to know if it will keep Jews coming back for more spirituality. For RELIGION & ETHICS NEWSWEEKLY, this is Lucky Severson in Maryland.